I hope your week started as painless as possible!! Yes!! 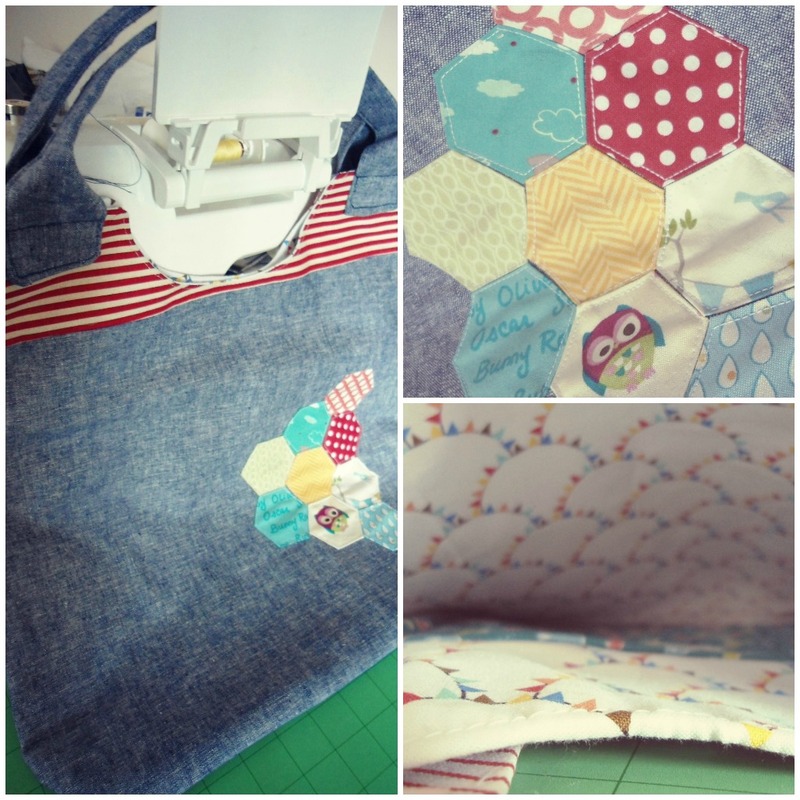 I'm talking to all you employees by day...and sewing lovers by night out there!!! I can understand the frustration that Sunday evening brings! Monday morning!! Worst nightmare!! Anyhow!! Have you noticed it too? Are hexagons everywhere lately? What's the case? 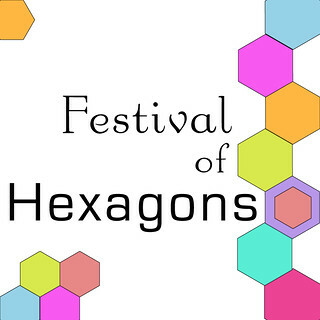 There's even a Hexagon Festival planned for August!!!? Have you heard about it? (By the way I found a site which provides a hexagon generator!! Thought I'd share it with you, I think it's gonna be very helpful). 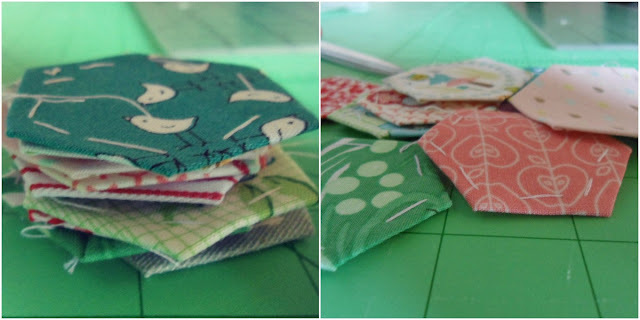 So, let's get back to the festival, it's starting on August 13th., and there will be oodles of hexies for you to sew. There is a big list of bloggers who are participating in this festival, sharing tutorials, there is also gonna be a blog hop where you can link up your projects. And speaking of projects have I shown you my latest make!!!?? I'm seeewww sewwww proud!! I've been recently asked to make a big bag that can fit a whole house of things for a friend's friend!! Which means for someone I'm not familiar with. I have no idea about her taste, I just know that she wants a BIG bag. My first thought, was the Go anywhere bag by Noodlehead. I had recently purchased the pattern and I thought that it would look really nice with the fabric bundle I had in mind. I knew I wanted to use for the main panels, quilter's linen by Robert Kaufmann in denim. Have you worked with this fabric before? It's amazing! But then it hit me! I wanted to make my own pattern. I wanted to combine my love for patchwork with something modern, and something new to the Greeks!! The first thing that came into my mind was half square triangles. But I'm not that good in sewing triangles.. and then..ta da!!! hexies!! Yes!! a traditional technique with fresh modern fabrics would look so cool!! I digged into my black trash bag where all my small scraps are (yes! I've moved from a small bag to a trash bag!I know it sounds really ugly but my house is turning into a BIG sewing room) and found enough for my project. And then the nightmare started! Calculating-drawing-erasing-drawing-cutting-throwing away. This happened three times I think?? I started on a Sunday morning..and still haven't finished all the way through! Wanna see the progress I've made so far? This is the pile that I didn't use!! 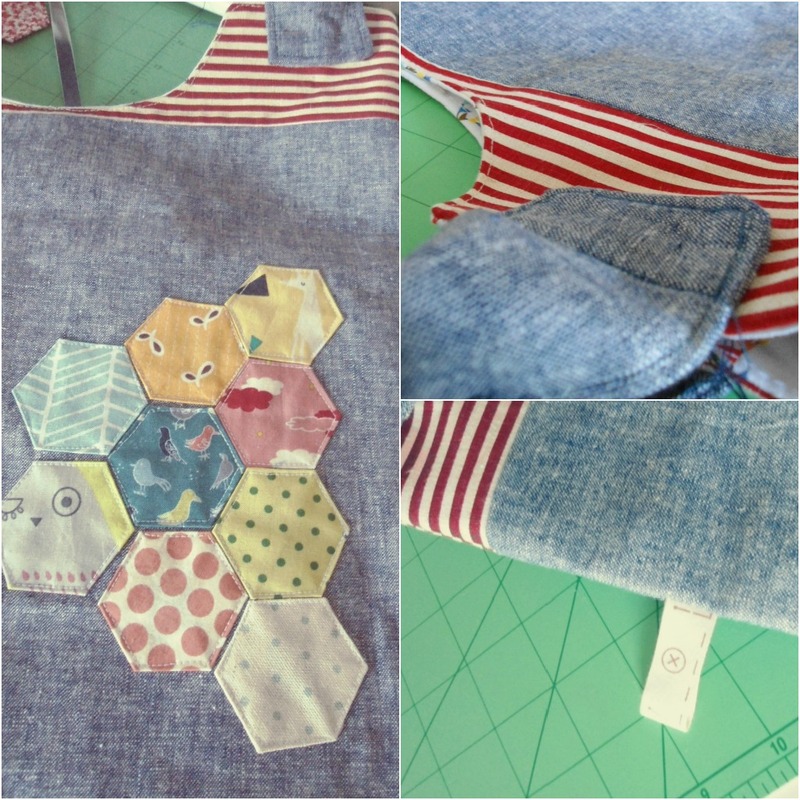 I might need to make another bag soon for me :-) Am I looking for excuses to buy more fabric? meeee?? nahhh!!! And here are a few pics of the bag! I used a very heavy interfacing for the outer fabric and for the handles, so it won't look like a sack with all those precious things that she will carry with her. I even made her a little pencil case in the pocket! How lovely is this lining, right? I'm overall very pleased with how it turned out? All I have to do now, is sew the second handle on the bag and add a sew-on magnetic snap for safety matters. And last but not least! !take some nice pics of the H-exy bag with someone (not me!!) carrying it! So, what do you think? I'd love to hear your observations! I know you can't tell very well by these photos..but I think you got my point right? The H-exy bag is quite big, it's app. 15 1/2 inches tall, and 16 inches wide accross the bottom!! That's almost a yard of fabrics in this cutie! Oh well, I have to go for now! Have to finish with the blog changes I've started at some point (we'll talk about this very soon)!! Don't forget about the giveaway!!! The inside lining is gorgeous and so whimsical. Good job, you!